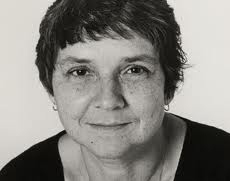 It was in 1973, in the midst of Black and women’s liberation movements, the Vietnam War, and her own personal distress, that Adrienne Rich wrote and published Driving into the Wreck, which garnered her the National Book Award in 1974. Rich accepted the award on behalf of all women. In the decades that followed, Rich’s poetry, essays, and books addressed issues of feminist politics, lesbian experience, and Jewish identity, and deeply engaged the critical concerns of racial and imperial oppression, war and environmental degradation. Relentless in her commitment to social justice fro all peoples, her work has enlightened and inspired. She is considered, in the last half of the 20th century and the first decade of the 21st, one of our greatest American poets. In the tribute, members of our campus community will read from her work.